Why Climb Aconcagua With Alpine Ascents? Just finishing our 2018/19 season, we had 11 of 13 teams reach summit (100% on the Vacas Valley Route). Alpine Ascents had an outstanding 100% team success in 2017/18 and 2016/17 with all teams reaching the summit! Leaders, logistics, quality, care, and safety guide our preparation. Aconcagua has become our home in the Southern Hemisphere, as many of our top guides spend the winter months guiding this great peak. With a local residence, we can attract an array of our finest guides, who enjoy the home away from home we set up in Mendoza. 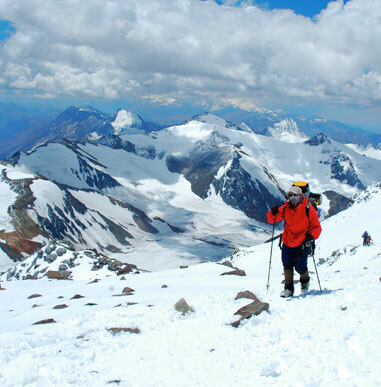 Guides are carefully selected based on the type of guiding Aconcagua requires. Alpine Ascents is the only US based guide service to own all local facilities including mules, base camps with staff and local administrative staff. We offer the highest quality of experience with a truly extended climbing schedule. 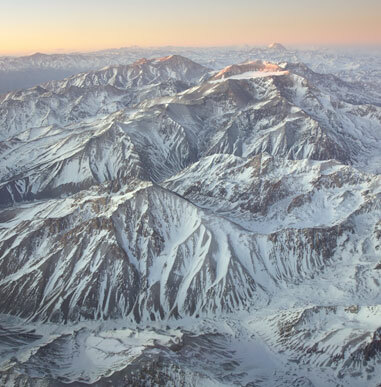 We have developed and honed detailed logistics over the last two decades, taking the initial work of Aconcagua expert Willi Prittie and further refining it each season. We are pleased to say that no other company can offer the depth and accumulation of experience that Alpine Ascents brings to this expedition. We have likely led more expeditions than any other guide service, and have had many teams with 100% success. Over the past 25+ years, Alpine Ascents has had outstanding success on Aconcagua. 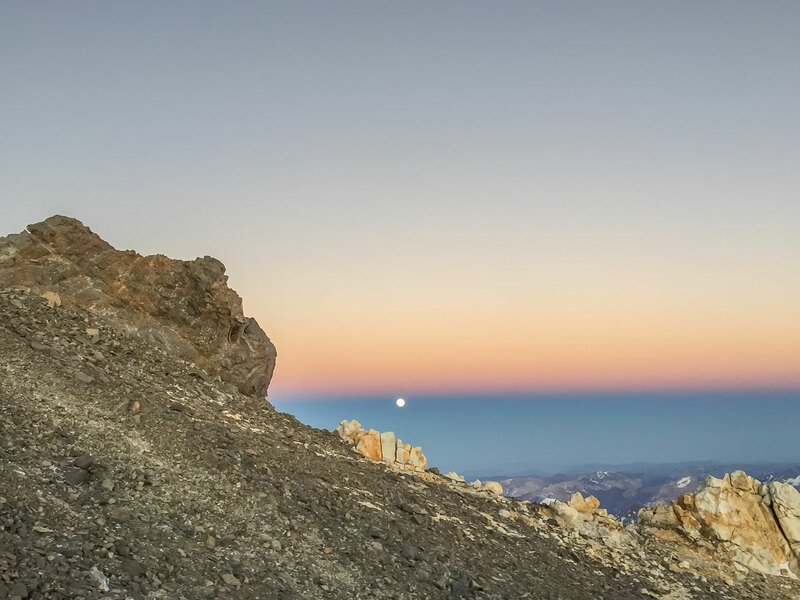 While this is a mountain that is known for low summit success rates, our frank, upfront information has helped prepare climbers for the challenge. We encourage you to review our cybercasts over the last few years, which paint an excellent picture of our success and expertise. With lead guides such as Vernon Tejas, Jangbu Sherpa, Brien Sheedy, Ben Jones, Brian Houle, David Gottlieb, Dylan Cembalski, and other skilled professionals, we offer an excellent chance to reach the summit with some of the best in the business. 100 % team success over the last 2 seasons, with some teams having 100% climber success on teams! In prior years (2015/2016), in a very tough year where some outfits saw very few summits, we had 100% success for January and some of our teams had 100% success (all members reaching the summit). During 2014/2015, 10 of 12 teams reached the summit. 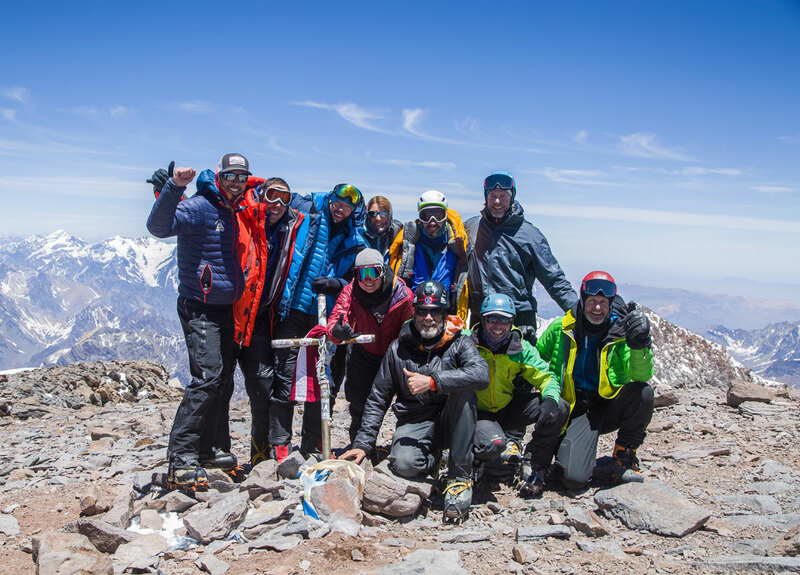 We encourage you to contact former Aconcagua team members, but you get the picture. A word on success rates: We encourage you to review our cybercasts to see how many team members actually made the summit. 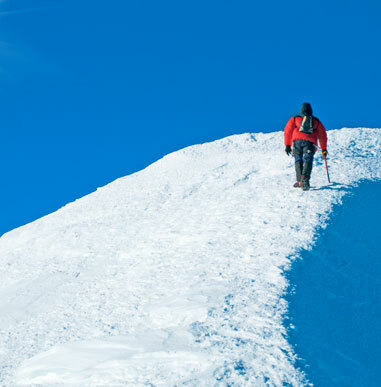 Some guide services note 80%, 90%, or even 100% success, when this means that merely one of the team’s guides summited instead of reflecting how many team members actually summited. Our team success rate is above 90% (higher for the last five years). 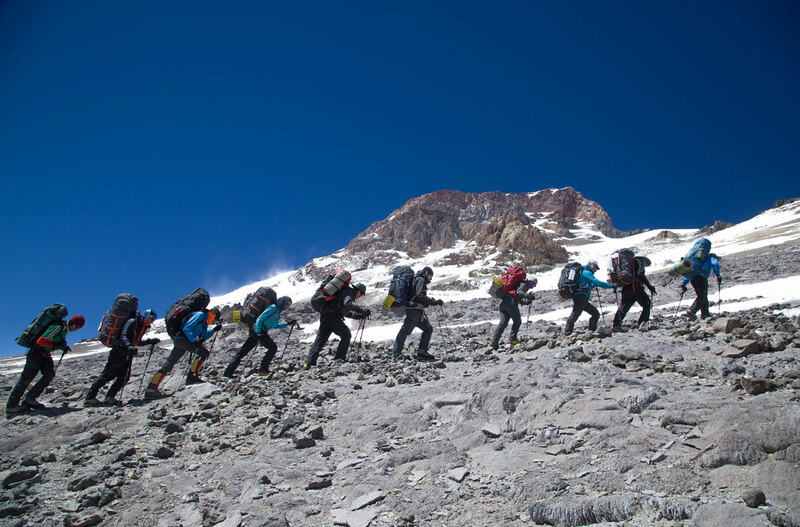 In more than 25 years of guiding Aconcagua, only a handful teams have not reached the summit. We have led numerous expeditions in which all climbers have reached the summit. We are confident that our summit success rate is the finest in the industry. This success is a testament to our guides and the hard work and team spirit of our climbers. We believe that with our guides and our acclimatization schedule, along with our pre-trip assistance, Alpine Ascents offers the best possible chance for you to reach the summit of Aconcagua. Our guides have found that enjoyment and success rates on Aconcagua are significantly increased by Alpine Ascents’ focus on a combination of the following key elements: our expert guiding staff, local Base Camp assistance, true care in food preparation, and route choices to match your needs. All of these elements help create an unrivaled alpine experience. Upon sign up we will send you a richly detailed information and pre-trip planning package. Our guiding team is composed of world-renowned, medically trained guides and full-time professional climbers. Many of these guides have historical climbing achievements synonymous with their names. Alpine Ascents carefully selects each Aconcagua guide team. 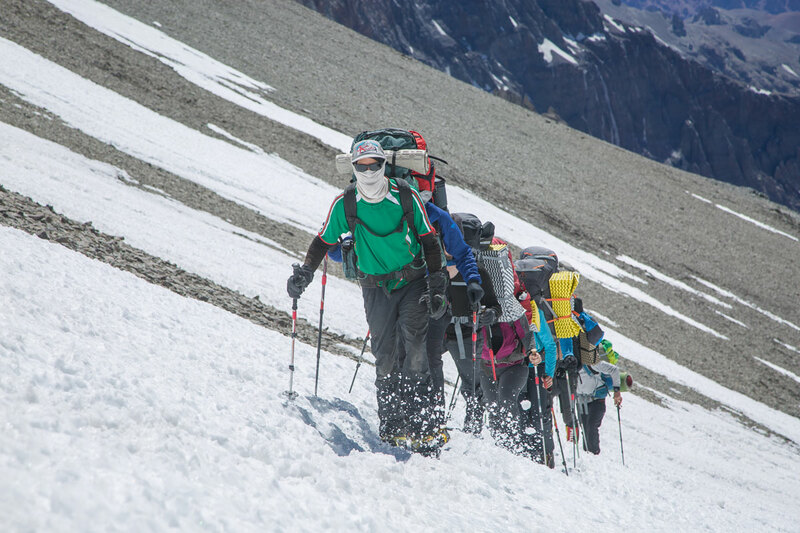 Only guides who have co-led past ascents of Aconcagua (i.e., trained with an experienced guide) lead each team. Our guide staff is the most experienced on the mountain. (Most of our guides are US based Alpine Ascents guides with a few hand-selected local guides). We are committed to running small groups (generally no more than 10 climbers) and providing three guides, based on team size. Alpine Ascents provides family and friends the opportunity to follow our climbs as they proceed. Utilizing state-of-the-art technology, we receive regular audio dispatches from the climbers and post them on our website. Not only does one feel the excitement of watching a team as it moves up the mountain, the archived cybercasts provide an excellent resource and learning tool when researching expeditions. Guides post directly to our website allowing real-time viewing. Enjoy the show! We are very clear about the demands of climbing Aconcagua. If you call our office and say “Hey, I’ve climbed Kilimanjaro,” we won’t simply sign you up, but will be frank about the need for a higher level of climbing skill. We go to great lengths to educate and prepare our climbers. 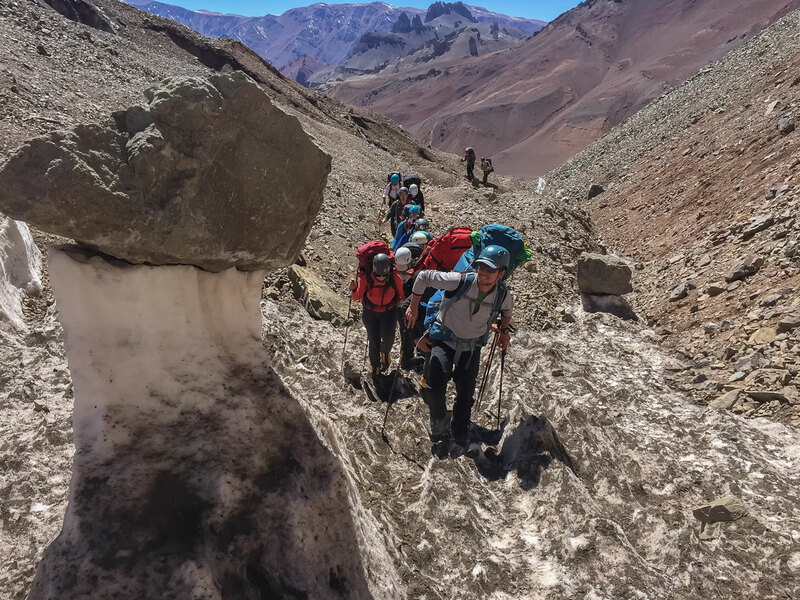 Aconcagua is a serious, rigorous climb, and being properly prepared is of primary importance. We look to work with team members so each team can be as strong and as complementary to each other as possible. On both routes we offer extra days at camps as these acclimation days are of vital importance to summit success and safety. We review strategies every season and adjust when necessary. We carefully look at the quality of tents and gear. We usually change our gear every few years and frequently bring new tents to the mountain. Gear does not last long on Aconcagua, and it is important to us that it be fresh and well-prepared each season. Guides purchase food in Mendoza and prepare all meals while on the mountain. We take great care when making menu plans and food choices. Most outfitters use freeze-dried food during the climb, but we do not (except in some cases in high camp). Food buying has always been a fun exercise for the guides. Guides are not given food items, but shop themselves and prepare personalized meals for the group. Alpine Ascents will hire porters on the Vacas Valley Route (whenever possible) to come to each camp and carry out waste instead of climbers having to carry waste to higher camps (an important part of planning on the Vacas Valley Traverse Route). Along with detailing expectations with our local partner, we have a lead guide from Alpine Ascents on every trip overseeing the expedition. We have handpicked expert local guides to assist on some climbs, or we send Alpine Ascents guides to be part of our Aconcagua guide staff. Our teams of 10 will have three guides, with the third guide sometimes meeting the team on the mountain. Porters on the Vacas Valley Route and Normal Route can be hired on the spot or pre-booked. In addition to our lead guide, we have a Base Camp guide (local outfitter) to coordinate incoming and outgoing expeditions for both routes. In 2016/17 we were able to provide Wi-Fi (additional cost) at each Base Camp. Our manager can handle specific needs of teams and clients, communicate between teams at various points on the mountain, and generally lend a hand wherever necessary. With our local outfitter, we maintain Base Camps that serve as communication centers for climbers and guides with the use of two-way radios, while also assisting climbers who descend early. There is a medical team at each Base Camp provided by Aconcagua National Park. An extended itinerary includes extra days that allow us to wait out bad weather, acclimatize properly, and, should we have early success, enjoy the charming city of Mendoza. We can also assist (for those booking with our travel agent) in adjusting and changing flights. We ascend via the less traveled and more aesthetically pleasing variation of the Vacas Valley Route. This beautiful ascent offers a rare climbing opportunity, as we encounter fewer climbers and spend quiet evenings in the rich mountain wilderness. We ascend the mountain by establishing a series of progressively higher camps. For the three-day trek to and from Base Camp, our gear is carried by mules. We descend via a more direct route and with our trekking gear transported around the mountain to meet the team. This is a much better approach than ascending and descending the same route. We usually have staff (both local and US staff in Mendoza) to assist with early departures or climber care as needed. While this may seem minor, having this assistance can greatly curtail difficult situations, including: missing gear, lost luggage, additional hotel reservation, and personalized transport. Many guide services just don’t have the level of support we offer, and leaving the mountain early or at trip conclusion can be complicated logistically. We ascend via the less traveled and more aesthetically pleasing variation of the Vacas Valley Route. This beautiful ascent offers a rare climbing opportunity, as we encounter fewer climbers, have the chance to traverse the mountain, and spend quiet evenings in the rich mountain wilderness. We ascend the mountain by establishing a series of progressively higher camps. For the three-day trek to and from base camp, our gear is carried by mules. We descend via a more direct group and our trekking gear is transported around the mountain to meet the team. Porters can be hired on this route either pre-booked or as needed. A more popular, more direct, and somewhat easier route, the Normal Route can be climbed in fewer days. This route includes porter support. Climbers spend more days acclimating at base camp using day hikes and an ascent of Mt. Bonete as a day trip from Base Camp. Every season we pour over feedback, evaluations, first-hand experience and obsessively refine our expeditions. We have likely led more expeditions than any other guide service and have had many teams with 100% success. LNT is always important practice for Alpine Ascent and we are proud to have initiated a waste-removal system on our climbs with the WAG Bag system. LNT ethics are taught and utilized throughout the climb. Our guiding team is composed of world-renowned guides and full-time professional climbers. Many of these guides have historical climbing achievements synonymous with their names. Alpine Ascents carefully selects each Aconcagua guide team. 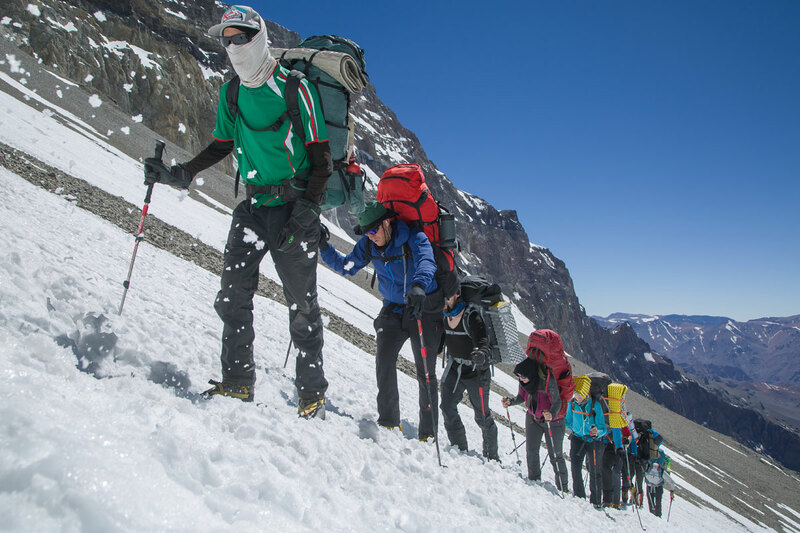 Only guides who have co-led past ascents of Aconcagua (i.e., trained with an experienced guide) lead each team. Our guide staff is the most experienced on the mountain. (Most of our guides are US-based Alpine Ascents guides with a few hand-selected local guides). We are committed to running small groups (up to 10 climbers) and providing two or three guides, based on team size. Expedition was great. I really liked the way we pushed it up the mountain in order to get ourselves into position to summit. Guides were great as well as their understanding of leadership.